So you want to be a goalie? In my last article, I touched on if you wanted to be a butterfly goaltender and what equipment would be best for that style. In this one is going to be directed towards the hybrid goalies out there that are just starting out and wondering what equipment would be the best to buy. If you are wondering what a hybrid goaltender is, it is a goaltender that is not always on his pads sliding around but also is not a goalie that stands up the whole time, it is a happy medium. To start off the pads. 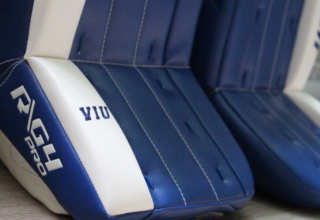 As a hybrid goaltender, you are going to be standing or on your knees in your butterfly. So you will need a pad suits that style. 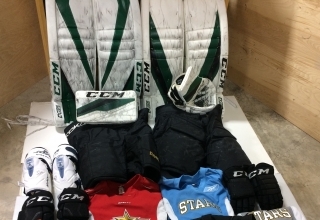 For this article, I am choosing the CCM Premier pads. They are good pads for the hybrid goaltender, for example, Connor Helebuyck. 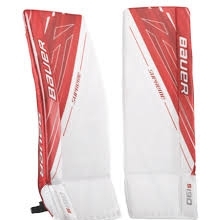 This pads designed for the hybrid style goaltender that the new generation that it seems to be trending towards. This pad well on the ice and also covers a lot of the net when you’re in your stance. The pads look big in both the stance and butterfly this pad works perfectly for this type of goalie. With a hybrid goaltender, you want a big glove and blocker just like the butterfly goaltender. For this, I would recommend the Vaughn Velocity V7 XF Pro Carbon. It is a nice blocker for the hybrid style goaltender as it uses a curve in the face to be able to deflect pucks to the corner or out of play. It has good finger protection and a shock absorption palm. For the glove, I would recommend the Bauer Supreme 1s glove. 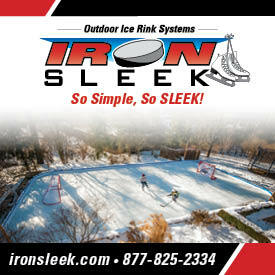 It is the type of glove that opens nice and wide and can als0 seal to the ice when covering pucks. 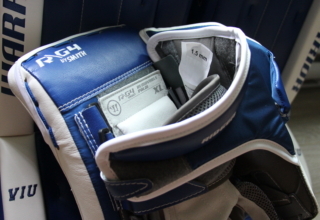 The glove also has a pocket designed to cushion the puck and slow it down for an easier time handling the puck. 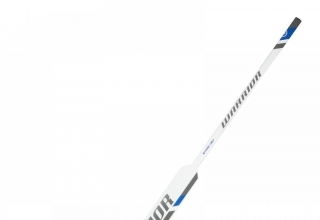 The stick I think would be best for a starting hybrid goaltender would be the Sher-wood GS650. This stick is a mixture of foam core and composite technology to create the perfect stick for any goaltender. The stick is also very durable because of its combination of the two technologies. The way it is constructive also gives the goalie the perfect twig to stop, direct and shoot the pucks. 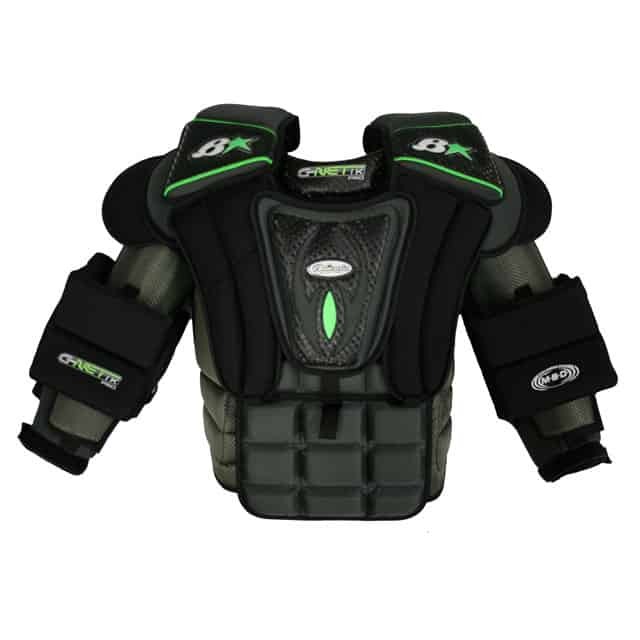 The Brians G-Netik 2 Pro chest protector would be perfect for any hybrid goaltender. With extra padding in the midsection and a big shoulder area works perfectly for when the goalie is in the butterfly to cover the top part of the net. The extra padding in the midsection is perfect for any “bread-basket” saves that often happen with the hybrid goaltenders. The pants I choose is the Warrior Ritual X Pro pants. They provide a lot of protection around the mid section which helps with the shots that head that way. 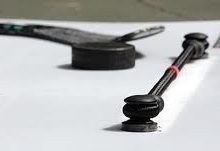 It is also designed to soften the blow of the puck so the puck slows down and is really easy to control. Like I said earlier the hybrid goaltender seems to take a lot if the shots to the “bread basket” so the more padding the better. The helmet is again a piece you should not cheap out on cause it’s the most important part of your body. If you don’t have a head then you won’t be playing hockey so protect it. There is no specific type of helmet that is perfect for any style of goalie. I will explain another good helmet. 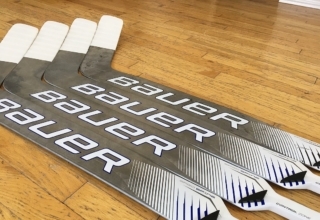 The Bauer Profile XPM 961 with an uncertified cage would be another good option for any goaltender. It is very padded on the inside and would do a very good job at preventing concussions. 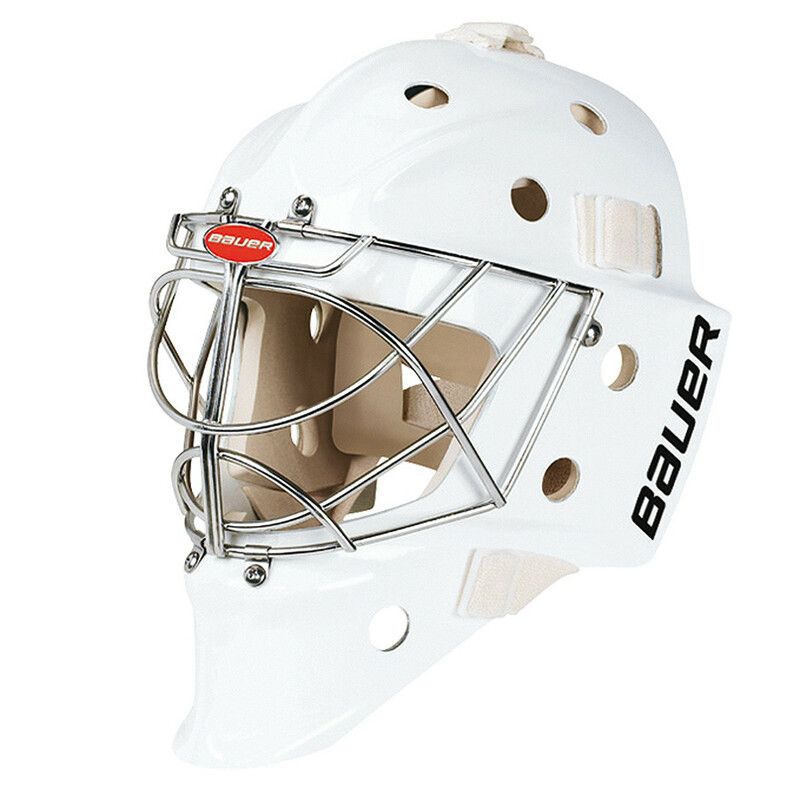 The cage also allows the goaltender to see the puck clearly which will also help with concussion prevention. Now the skates, I personally have wanted these since they came out. 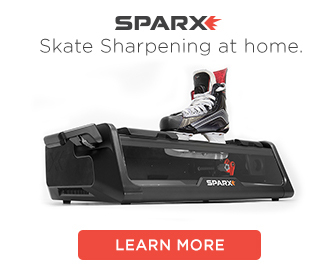 They are called the VH Skates. They are based right near me in the city of Winnipeg and they have spent 10 years trying to perfect the design. 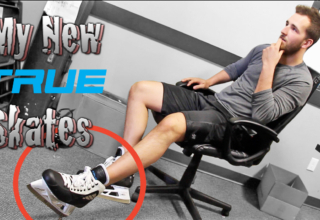 They custom make the boot specifically for your foot and the skate is totally customizable. They come as a one piece skate or a two piece skate. The boot is a lightweight fabric with an amazing amount of fabric which they guarantee will keep your feet protected. So being a hybrid style equipment is not much cheaper if not more expensive than the butterfly equipment. Hybrid goalies seem to be more in style these days and how goalies are trending towards. This article is my opinion on what equipment you should get if you seem to be the hybrid type goaltender. Hope this helps!